CONSIDERABLE coalseam gas royalties was a factor in high levels of interest shown in Wandoan (QLD) district grazing property, Pony Plains, which sold at auction in Brisbane on Friday for $13.3 million. The 4004ha cattle property was sold under the hammer to Kellie and Bill McLean, beef producers from the nearby Taroom district. 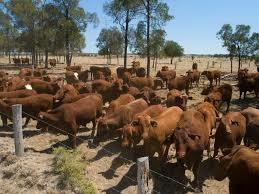 The McLeans plan to move in and operate their broader cattle business from the property. After running a formal expressions of interest campaign last year, Pony Plains was taken to auction on Friday by marketing agents Colliers, as phase-two of the campaign. While the ultimate purchaser was a nearby beef producer, because of its unique $1 million a year net ‘passive income’ from CSG, Pony Plains attracted more than 200 inquiries, including many ‘non-traditional’ investors looking for rate of return, rather than solely on its attractions as a cattle enterprise. Pony Plains offered long-term secure cashflow through compensation agreements for the gas wells, water-take and a gas industry accommodation village located on the property. Further fuelling interest from non-traditional investors was an option for sale and ten-year leaseback to the vendor, which ultimately was not taken up by the new owner. Investor inquiry came from a wide area, both local, other parts of Queensland, and interstate. “The campaign yielded 16 inspections, and there were 11 bids at auction on Friday, with the end result of $13.3m reflecting a strong price per acre for the district,” Colliers agent Trenton Hindman said. The region also received 55mm of rain in March which helped the sale process. 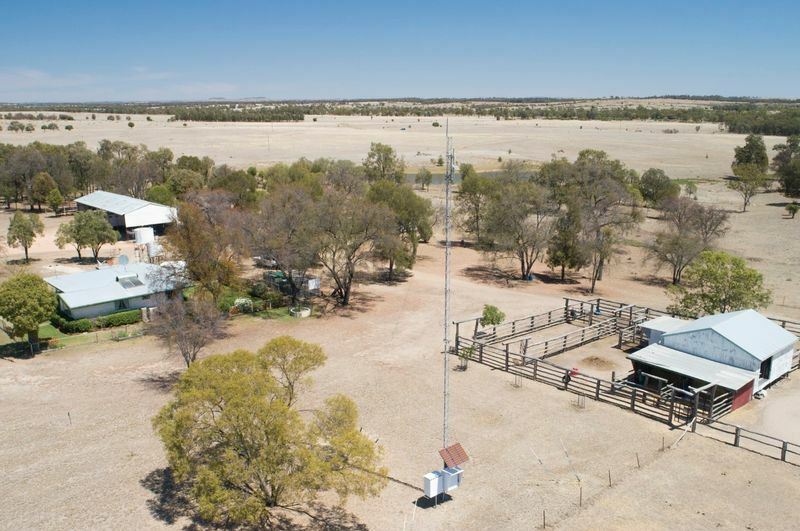 Mr Hindman said the property’s exceptionally good grazing country, ideal for backgrounding, and additional non-grazing income from coal seam gas wells was what attracted the buyers. “During the campaign we also tried to identify mainstream institutional investors who were interested, as the property seemed to provide more sustainable and less volatile returns against pure primary production because of gas income,” he said. “It has been a top producing property, and I wish the purchasers all the best with their business. I can see a big future for prime grazing land with a mix of gas as a supplementary income. It has worked well for me and I feel like it will work well for the new owners,” he said. Over the past 15 years, energy resource-rich regions like southern Queensland’s Surat Basin have experienced significant development, particularly within the coal and coal seam gas extraction industries, prompting the establishment of co-existence arrangements with landholders and the extensive construction of associated on-farm and regional infrastructure. Mr Hindman said properties like Pony Plains were becoming highly sought-after by both institutional and non-institutional investors, often willing to pay a premium to hedge their returns risk. “Investors look favourably on properties with a diversified income stream because they understand that returns from agricultural assets are cyclical, and best considered over the longer-term, given their exposure to weather and global commodities speculation,” he said. “Pony Plains offered significant annual return potential given its focus on free-range grassfed beef production, coupled with attractive annual compensation for access to coal seam gas reserves,” he said. Colliers Industrial spokesman Simon Beirne said multiple income streams took the ‘lumpiness’ out of agricultural investment returns. The good quality, well developed grazing country on Pony Plains consists of open grasslands complemented by mature shade lines and stock camps of brigalow and belah open forest. The soils are a mix of loamy duplex types and self-mulching cracking clays which are ideal for growing improved pastures. Sitting atop the Precipice Sandstone aquifer, the property is extremely well watered with a bore providing unlimited stock and domestic water. While sold bare, the property has a carrying capacity of 2000 adult equivalents. Resource-wise, Pony Plains encompasses three Petroleum Licences, one Authority to Prospect and one Mineral Development Licence; Conduct and Compensation Agreements (CCAs) with Origin for 30 Coal Seam Gas production wells, 200 person Pony Plains Village and water take agreement; Conduct and Compensation Agreement (CCAs) for QGC in negotiation; and coal deposit potential with thermal coal with the Wandoan Holdings Pty Ltd (Glencore) owned Mineral Development Licence.